and our lemon tree is full of big, ripe lemons! 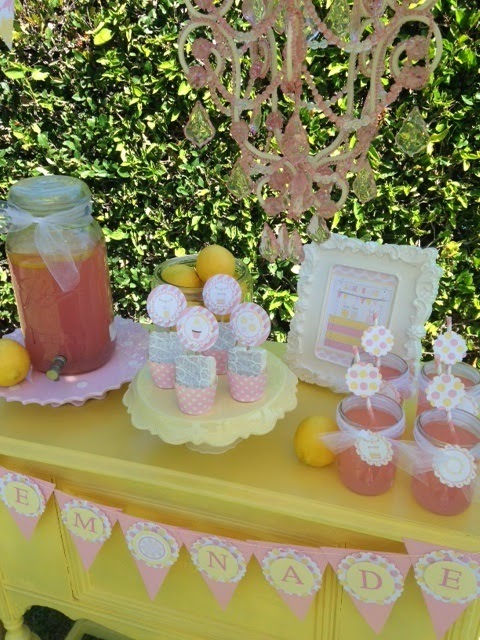 Click on the link below to see all my party details! Love the colors! What a cute stand! How do you hang the chandeliers? Where did you purchase them from? Absolutely adorable!